The following two types of crushers are fitted to make sawdust for the downstream equipments. Please choose proper types according to the types and size of your raw material. FSJI Wood Crusher is suitable for crushing raw wood with size less than 200mm(diameter). 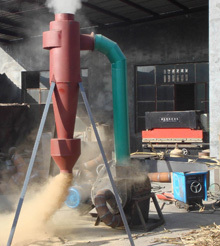 After milled, the output size can reach diameter 3-5mm , which is suitable for further briquetting. 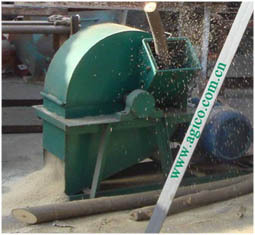 FSJII Hammer Mill is suitable for milling raw material like tree branch, tree trimmings, cotton stalk, corn stalk, wheat straw etc) with size less than 50mm(diameter). After milled, the output size can reach diameter 3-5mm , which is suitable for further briquetting.